IRC Defender is a security system for IRC networks, which helps keep malicious users away from your IRC network. One of our newer, but more established projects, this program is used by many IRC networks worldwide and helps make IRC a better place to be. It was written in Perl 5, and would run on most platforms including Linux, Windows and OSX. 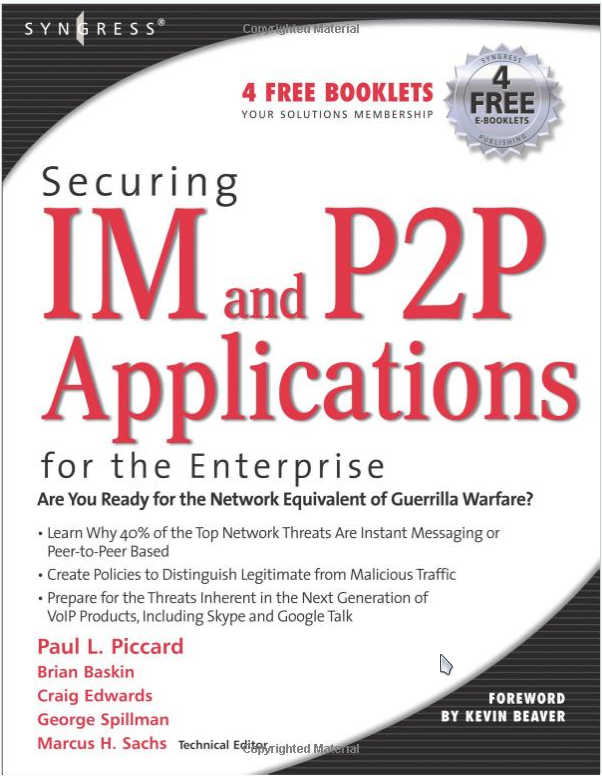 Expanding on previous ideas such as SecureServ and BOPM, this program actively scans users connecting to IRC, using regular expressions, port scans, proxy lists, and more to determine a threat score for a user, which IRC admins can choose to ban, flag, or log. 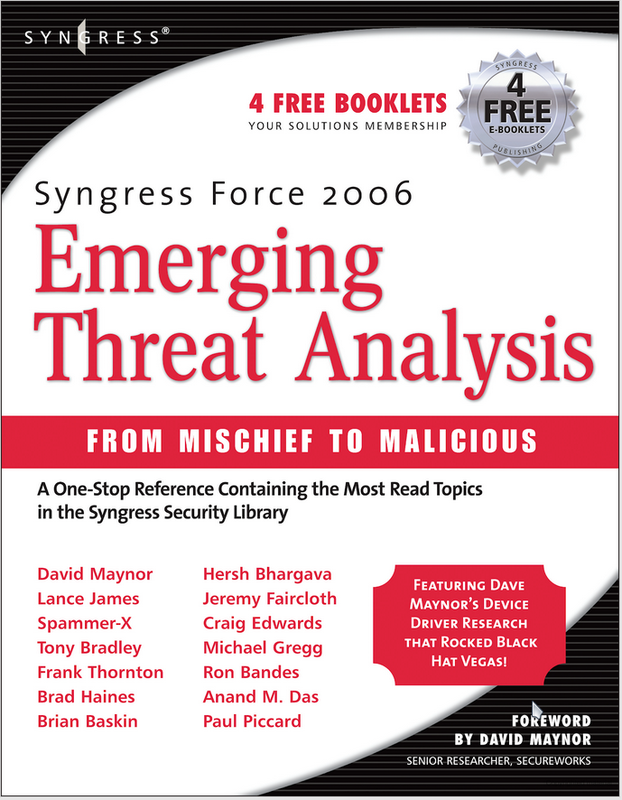 This software was mentioned in books that I authored chapters for, namely Syngress’s “Securing IM and P2P Applications for the Enterprise” and “Emerging Threat Analysis“, shown below.